SoundTube designed the CM52-BGM to make background music sound good. 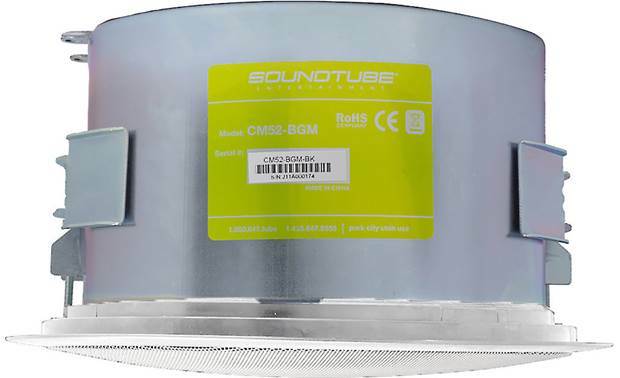 SoundTube designed the CM52-BGM to make background music sound good. 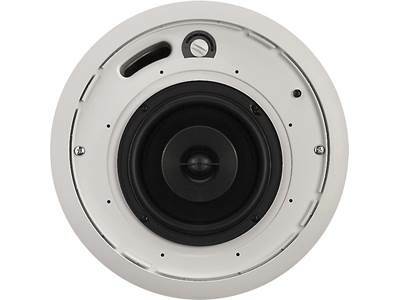 Each in-ceiling speaker has a 5-1/4" woofer, 3/4" silk tweeter, and a steel back enclosure with a tuned port for extended bass response. BroadBeam Ring™ technology helps create a 95° horizontal coverage pattern, so music fills the available space. A built-in transformer tap lets you use one amplifier to drive several speakers in an efficient distributed audio system. Convenient fixed-wing mounting arms make installation easier. 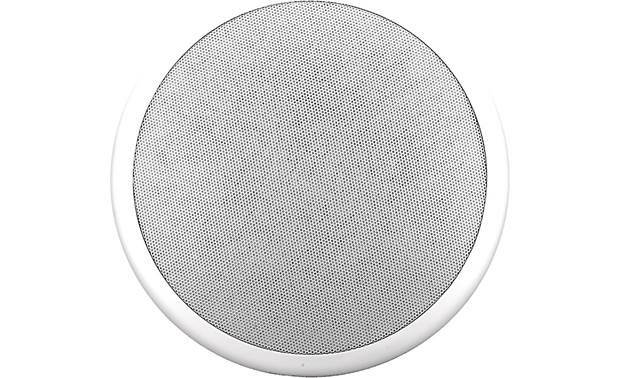 Drivers: The CM500i features a 5-1/4" polypropylene woofer with a rubber surround along with a 1" convex titanium tweeter with FerroFluid cooling, all mounted in a ported aluminum backcan enclosure. This combination delivers high efficiency and performance across the operating bandwidth with a frequency response of 75 Hz to 22 kHz (-3db). 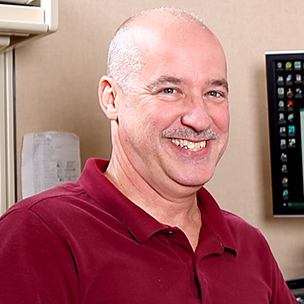 Able to handle up to 75 watts RMS (150 watts Program power) and with a sensitivity of 86.5 dB, the CM500i can provide clear powerful sound with a coverage angle of up to105˚ (averaged from 2 - 10kHz). 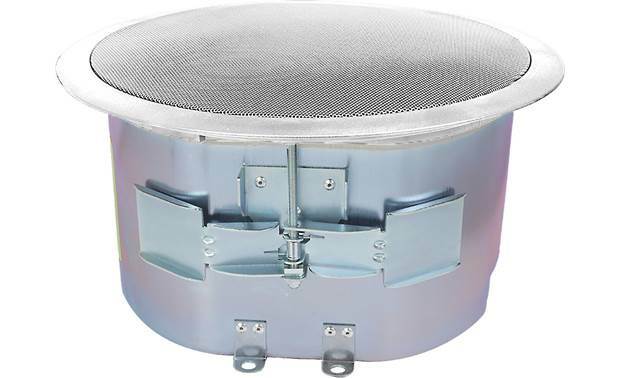 Searches related to the SoundTube CM52-BGM 5-1/4" commercial in-ceiling speaker.